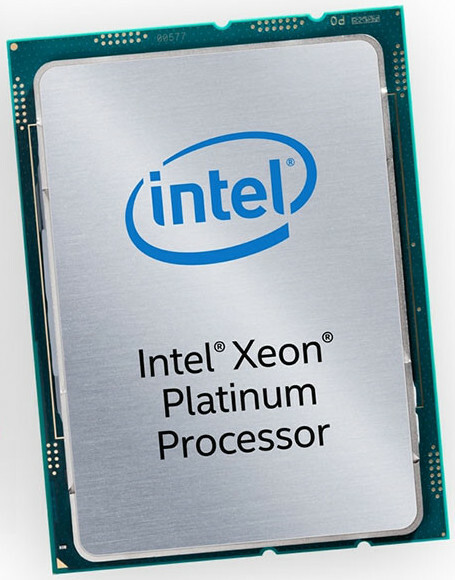 Intel’s top of the line Xeon Scalable Processor (Skylake architecture) features a massive increase in compute power compared to the previous Broadwell generation. It comes with AVX-512 SIMD, allows 2 fused multiply-add (FMA) instructions per clock cycle, effectively performing up to 32 double-precision floating point operations per clock tick. The highest-end Platinum range comes with up to 28 physical cores, and can be configured into dense systems with up to 8 CPU sockets. Enter Nvidia with its flagship V100 GPU (Volta architecture). With 50% more flops, 20% higher memory bandwidth, and vastly increased cache size compared to the previous generation P100 (Pascal), it boasts impressive specifications. The highest-end version features 32 GB of memory on the card – enabling a wide range of applications. Nvidia’s impressive DGX server stacks up 16 of these V100 into a single unified system, unleashing tremendous compute power. While the current hype and atttention is clearly around Deep Learning and Artifical Intelligence, in this post we compare both top of the line processors from the competing vendors on traditional High Performance Computing workloads. Those applications are still – to a very large extent – dominating the data centers in various industries. In the following, we are putting both processors to the test on selected applications from the Xcelerit Quant Benchmarks. The table below shows the key hardware differences between the two processors. 1Note that the FLOPs are calculated by assuming purely fused multiply-add (FMA) instructions and counting those as 2 operations (even though they map to just a single processor instruction). Full SIMD instructions are assumed on the Platinum CPU. The peak GFLOPs given above are rarely reached in real-world applications. Beyond compute instructions, many other factors influence performance, such as memory and cache latencies, thread synchronisation, instruction-level parallelism, and branch divergance. To give an indication of the performance in the real world, we use selected applications form the Xcelerit Quant Benchmarks, a representative set of applications widely used in Quantitative Finance. Those applications have been hand-tuned for maximum performance using a native implementation by code optimisation experts, often in collaboration with the relevant processor maker. We observe that the performance difference is variable between different real-world quantitative finance workloads. The high variation across applications can be explained by the different characteristics, in particular the relation of compute instructions to memory access operations, and the memory access patterns. For the LIBOR swaption portfolio pricer, Skylake is 1.9x faster than the V100. This application benefits highly from the AVX-512 vector instructions, calculating 8 double-precision floating point operations in one instruction. Further, it uses several megabytes of memory per Monte-Carlo path, which happen to fit into the cache hierarchy of the Skylake system completely, while the registers and caches on the V100 are not sufficient to hold this data. These two factors give Skylake a significant advantage over the GPU, even though the raw GFLOP/s figures suggest otherwise. The Binomial American option pricer is almost at par between the two processors – the V100 has a slight advantage of 1.06x. Here the effects of vectorisation and caching balance out with the raw compute power. The Black-Scholes option pricer is compute-bound with few memory accesses. On the GPU all memory access are fully coalesced, reducing the observed memory latencies futher. This is why the V100 gives a 4.1x speedup over the Skylake in this application. The Monte-Carlo barrier options application shows a large boost of 6.1x on the GPU over the Skylake CPU. On the GPU, this algorithm is highly compute-bound with all memory accesses fully coalesced and a high level of parallelism. This hides all memory access latencies. On the CPU, due to its lower number of registers and lower level of parallelism, the application is more memory-bound and therefore runs significantly slower. 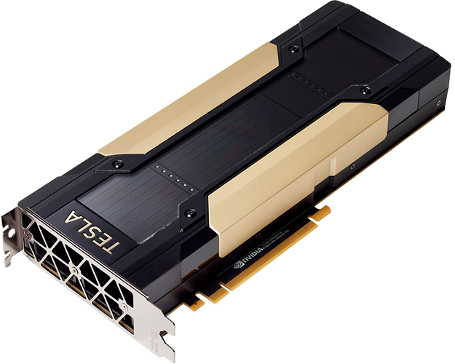 While Nvidia’s top of the line GPUs are undisputedly dominating the deep learning and AI arena, the confrontation is far more balanced for traditional High Performance Computing workloads with Intel and Nvidia playing on the same league. Choosing which processor is best suited for a given task heavily depends on the workload itself and its characteristics – clearly, one processor does not fit all. The HPC race is still on! How to Pick the Best-Suited Processor?